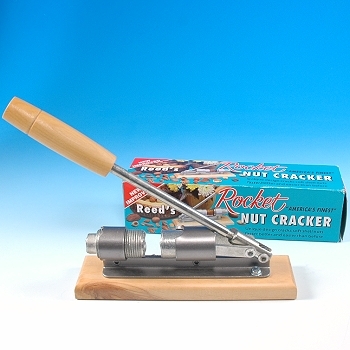 Reed's Rocket Nutcracker Model 816 is "America's Finest"! 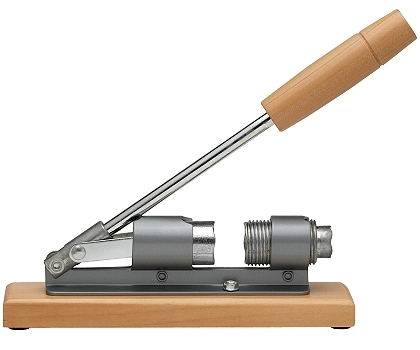 Its unique 5-Star Gripping Action holds nuts firmly during cracking, resulting final nut meats which are larger and cleaner. 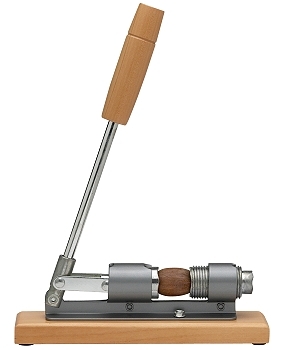 • High quality all steel machine construction with attractive wooden base and handle grip. • Unique design cracks soft shell nuts, faster, better and easier than any other nutcracker. • Cracks Pecans, English Walnuts, Almonds, Filberts, Brazil and other Soft Shell Nuts. Does not crack Black Walnuts or Hickory Nuts. • Speedy procedure to a formerly tedious job. • Saves money by buying bulk nuts and shelling them yourself. • Prepares nut meats as you need them.